Occupancy is limited to independently living people who have developmental disabilities. This facility is also known as Lakewood Apartments. It is a smallish, modern building designed to house independently living people who have developmental disabilities. With only 5 apartments, residents enjoy a quiet, homey atmosphere, where friendships have been strong and longlasting. Some residents of Lakewood work at an affiliate agency, Diversified Services, Inc. in Siren. Though Siren is a small community that was severely damaged in the 2001 tornado, it has come back strong, with new retail and residential construction that has it looking very good. 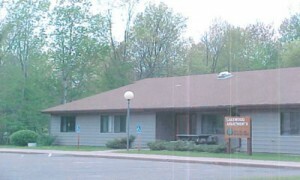 Crooked Lake, on the edge of town, provides parks and water recreation. The surrounding forested area offers other outdoor amenities. Lakewood Apartment is situated just 2 blocks from Siren’s “main drag”, home to restaurants, a supermarket, a multiplex cinema, banking and other establishments. Lakewood Apartments is served by a Tenant Services Coordinator, a professional charged with assisting participating residents with accessing desired services and resources. Occupancy is limited to households with a specific disability.